Let the battle of the Active Protection Systems (APS) begin. 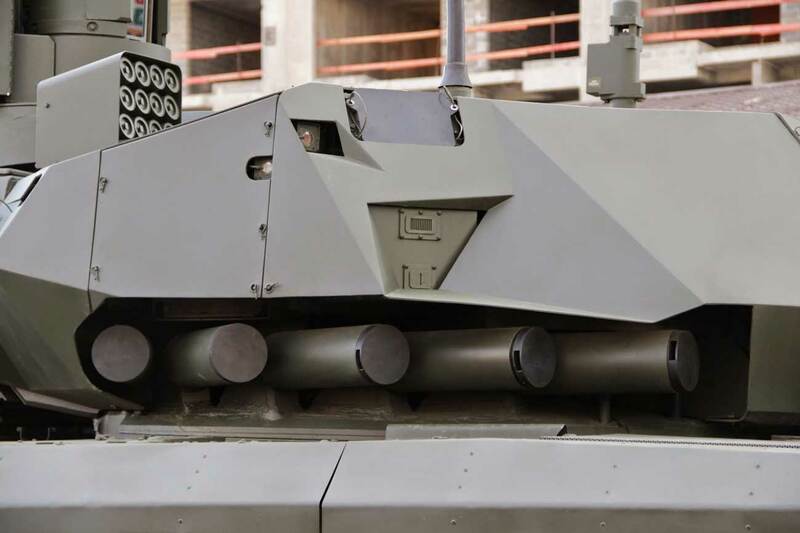 At the opening day of the International Armoured Vehicles conference in Twickenham, London this week, ADS, which is part of Rheinmetall, Israeli company Rafael and Raytheon set out their stalls or APS offerings for armoured vehicles. In the armoured vehicle display area, Raytheon had a poster advertising its Quick Kill 2.0 system, which uses a vertical launch countermeasure against incoming threats. A spokesman said Raytheon's main focus was on lowering the weight and cost of APS. Quick Kill was initially developed as part of the US Army's Future Combat System program, which was later cancelled in 2009. In January 2013, Raytheon issued a press release stating that its Quick Kill APS had "successfully [defeated] an extended set of threats, including one of the most lethal RPG threats by destroying it in mid-flight. " However, questions remain about the maturity of the Quick Kill system compared to Rafael's Trophy APS, which the Israeli company bills as the only "combat-proven" system. Trophy has been used by the Israeli Defence Forces (IDF) on Merkava Mk4 tanks in the Gaza Strip where it is said to have successfully intercepted anti-tank missiles. It had its first successful defeat against an RPG near the Gaza border in 2011 and was used in Operation Protective Edge in 2014 against RPGs and Kornet anti-tank guided missiles (ATGMs). A video Rafael played at IAV 2018 reportedly shows a Merkava tank in Gaza being fired on by a rocket-propelled grenade (RPG), which the Trophy system destroyed. In addition to the IDF, the US Army , keen to deploy an APS in the short-term to address a resurgent Russian anti-tank threat, made the decision in September last year to install Trophy on a brigade of M1A2 Abrams tanks, which will be fielded to Europe by 2020. Trophy has been previously tested on a US Army Stryker vehicle and a Canadian LAV III infantry fighting vehicle. Col. Yiftach Kleinman, head of Vehicle Protection Suites at Rafael opened his presentation at IAV by saying that "[APS's] story is not very easy. The marketing is very optimistic. [But it] is a story of big money, sweat and tears." Since the first IDF contract for an APS in 2007 to the present day, Kleinman said it had taken 10 years to get Trophy to its current level of maturity based on testing it against "all the extreme scenarios in [Israel's] backyard." 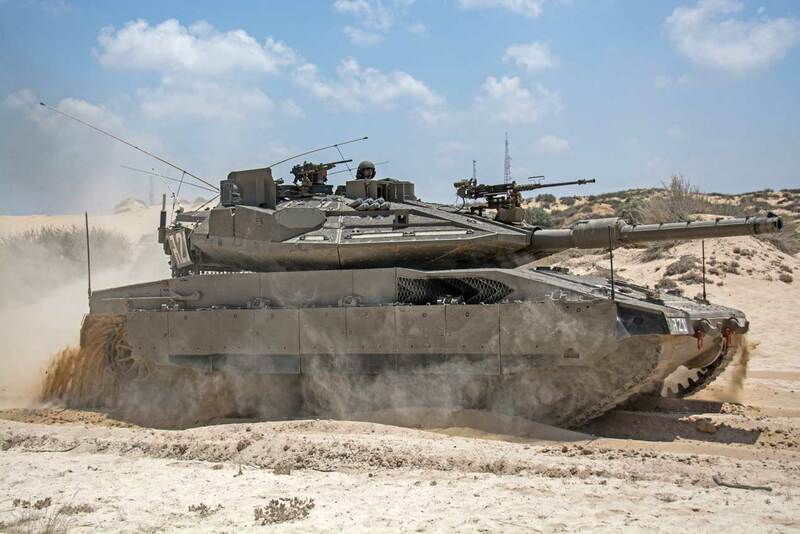 IDF Merkava tanks often come into contact with ATGMs or RPGs fired by Hamas. And, according to Kleinman, Israeli forces have even encountered North-Korean manufactured ATGMs in Gaza. Although the development of APS date back to the 1950s, NATO countries such as the US and the UK, as well as the Netherlands, have stepped up their focus on deploying them on armoured vehicles since Russia's new Armata T-14 tank featuring an APS was paraded in Red Square Moscow during a Victory Day parade in 2015. Little is known about the latest Russian APS, but the contention is that it would be able to defeat most conventional RPGs and ATGMs. Russia has developed and fielded APS systems, with mixed success, since the 1970s. The US has looked at developing APS since the 1990s, but with limited success and nothing fielded on an actual vehicle, until now. One of the biggest concerns for nations – at least in the West — looking to deploy hard-kill APS on armoured vehicles is the potential for collateral damage from the countermeasure used to neutralise an incoming threat. Rafael revealed at the IAV conference that Trophy had made an unintentional detonation in 2012. But Kleinman said the system posed no risk to dismounted soldiers or civilians around the vehicle. Trophy has completed a "customer’s (Israeli Ministry of Defence/IDF) comprehensive four-year"safety certification process, which according to a Rafael Trophy brochure, looked at standards for "low levels of false alarm rates, shocks, noise and radiation; negligible collateral damage; safe zones to dismounts and civilians." As APS are still a relatively new concept on the battlefield, there are no well-established or broadly accepted safety standards for them to be tested against. There is NATO STANAG 4686, which looks at the performance levels of defensive aid suites on armoured vehicles, but some APS providers are critical of the standard. At IAV 2018, ADS announced that its Gen-3 "hard-kill" APS had been "independently assessed" against a civliian safety critical standard called IEC61508, which is commonly used by German engineering companies in the automotive sectors to validate safety features. According to ADS, hard-kill APS's "operate much like the explosives in the air bag in your car." Any "inadvertent" firing of the air bag puts the driver, and potentially other people at risk. "Failure to fire when a missile is icnoming is equally catastrophic for a vehicle protected by an APS as it would be if an airbag failed in an accident," ADS writes. By the end of this year, ADS hopes its Gen-3 APS will be certified to IEC61508 Safety Integrity Level 3. "Civilian standards tend to exceed miitary engineering standards," said Dr. Ronald Meixner, lead engineer for the ADS APS design. By applying a civilian standard to military APS, ADS hopes to enhance confidence amongst Ministries of Defence to deploy hard-kill APS, not just on Main Battle Tanks, but also lighter armoured vehicles. "Functional safety is not about whether a system is working well in its field and delivering an expected performance — it is about whether it is safe for all of us to use such a system — as an operator or any human being which simply happens to be nearby," said Meixner. However, Kleinman of Rafael says safety is more about learning from how an APS performs in real-life combat situations . "Safety is about theatre maturation, not a test range back home," he says. 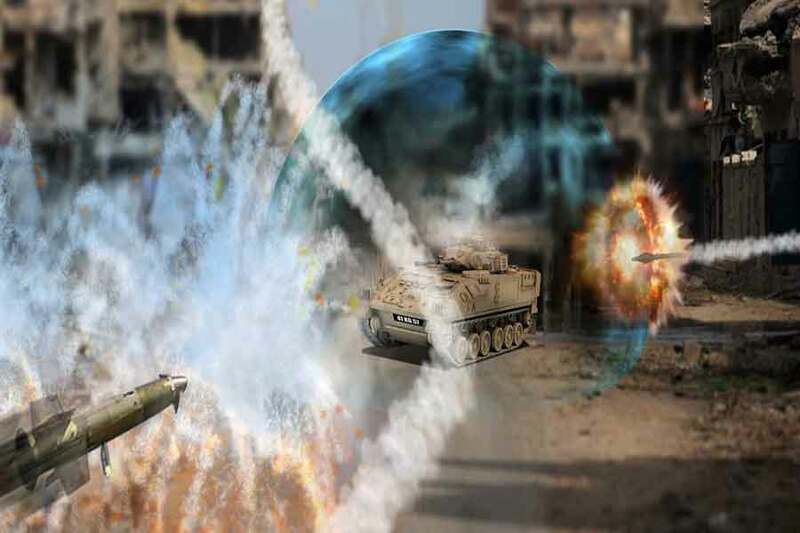 Rafael believes its Trophy system is a proven system based on the IDF's experience of fielding it in combat as well as tests conducted by the US and Canada. Proven it may be, but that hasn't stopped the UK's Defence Science and Technology Laboratory (Dstl) from conducting a proof of concept Technical Demonstrator Programme (TDP), led by Leonardo, to develop a Modular Integrated Protection System (MIPS). Part of the TDP will see the Leonardo team demonstrate and evaluate an operational prototype against ‘live-fire’ weapon engagements. The MIPS electronic architecture will provide a common infrastructure that will enable “best of breed” commercial off-the-shelf APS sensors and countermeasures to be selected, integrated and deployed to defeat a wide range of current and future battlefield threats. "We'e not saying a commercial off-the-shelf system doesn't provide a viable solution," a Dstl spokesperson said at IAV 2018. "The question is can a modular open architecture increase its viability?" In other words, does a Generic Vehicle Architecture approach work for APS? "We know open architecture standards can reduce the cost of ownership," the spokesperson added, stating that it is concerned about the "closed" nature of some of the commercial APS. While Russia and Israel are just getting on with it, the APS debate is likely to rage on amongst NATO countries for some time with various APS providers jockeying for position as the competition heats up as to which is the best and safest system to deploy. But it could be another five years before we see something on a UK armoured vehicle. By that time ATGMs and RPGs, as well as anti-APS systems, may have advanced considerably.